Being a new mom is hard! It doesn't' matter if this is your first baby or your 6th. The adjustment to adding a new life to your daily life is HARD! The lack of sleep, the being pulled in a million directions. Learning a new daily balance. Even trying to get a shower is difficult (it has been 3 days for me!) 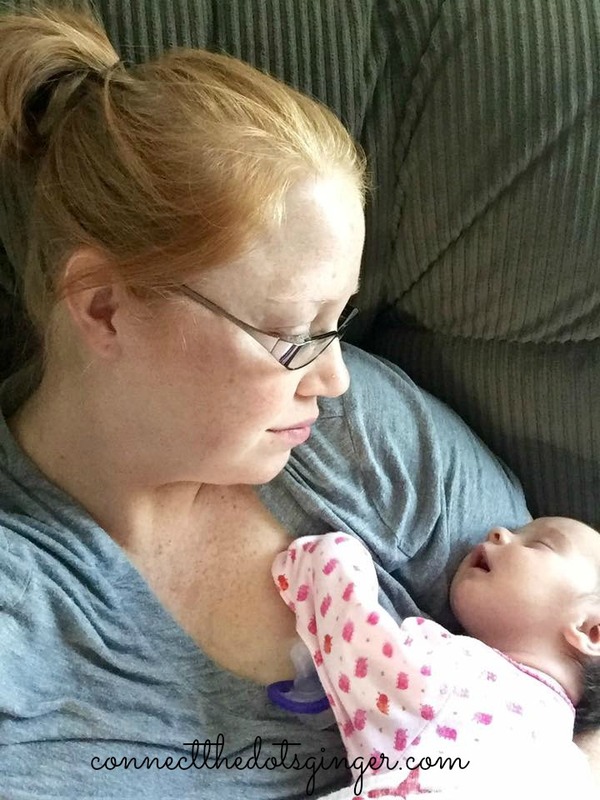 I'm a 3rd time mom and I knew this was going to happen and I accepted it. But one thing that I forgot about, but quickly remembered and trying to work out is MOM MUST COME FIRST. 1) MAKE TIME TO DO THINGS YOU NEED TO DO! (like pee! 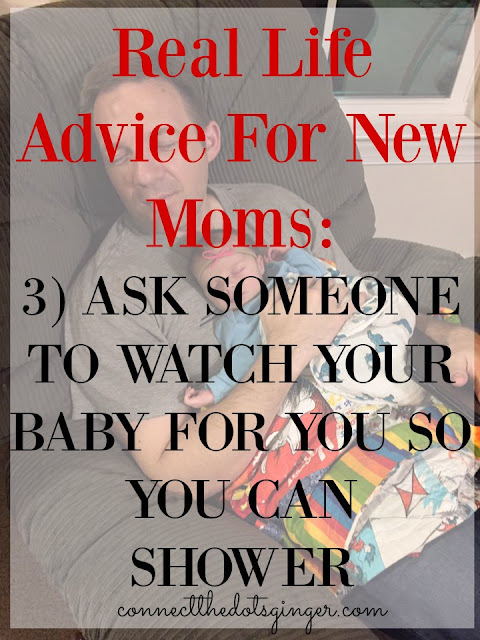 Go pee before you have to do a feeding) Yes, the baby will probably cry for the 2 minutes it takes to go pee, and that is ok. Make sure your baby is in a safe place and then go. I am still forgetting to grab something to eat, but this is where EASY TO GRAB HEALTHY SNACKS come into place. Again, put your baby down for just a minute and make a quick sandwich so you can eat. You need to eat to feed your baby, if you are breastfeeding or pumping. This seems like a no brainer, but it really isn't. Even after 3 kids, I am still having to force myself to hand over Elyse to take a shower. You need the time out. 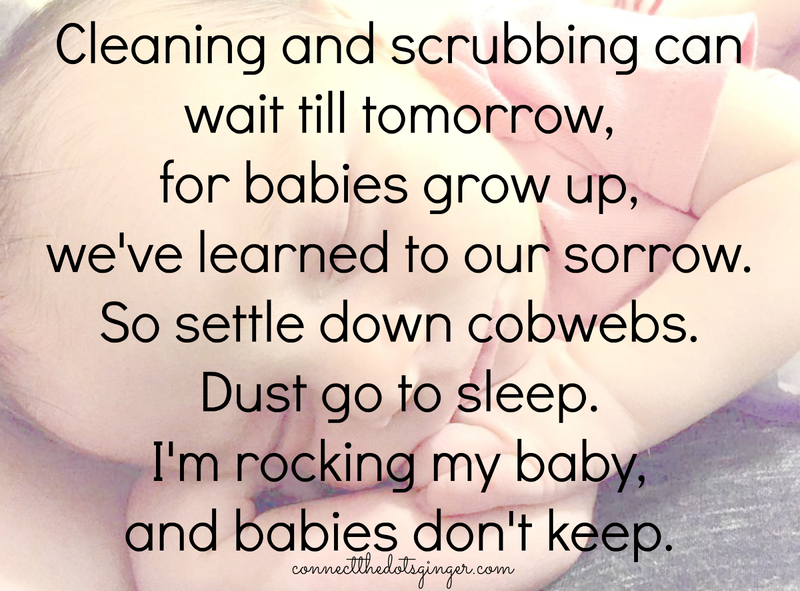 And it is ok to ask a neighbor to come over and hold your baby so you can get a shower. (something I should have done more of when my husband was deployed just after #1 was born!) Not going to lie though, yesterday I was spit up on 6 times, stopped changing my shirt, because that makes more laundry, had spit up in my hair so I pulled it up into a bun and just dealt with it. Shower will come later. And I just enjoyed the fact that my baby was finally sleeping and out cold! Cleaning takes a backseat when you have a baby. Right now, my hubs and I are taking turns on who cleans the kitchen each night. One night he will clean the kitchen and put the kids to bed, the next night it is my turn. It is actually a really great idea for us! If you have to ask for help with cleaning your house. Soon the hubs is going to be going back to work full time, and my house is going to be a wreck. But one thing I won't be afraid or embarrassed to do, is ask for help when I need it. And cleaning falls in that category! 5) SLEEP WHEN YOU CAN. DISHES CAN WAIT. CLEANING CAN WAIT. Again, cleaning needs to take a backseat. Right now, in the first few months of your new baby arriving, your house won't be spotless. It will be a mess. Dishes will pile up in the sink. Laundry will be all over your bedroom. AND IT IS OK! It is so much better for you to take a nap when your baby is napping (mine is right in the middle of the day!) 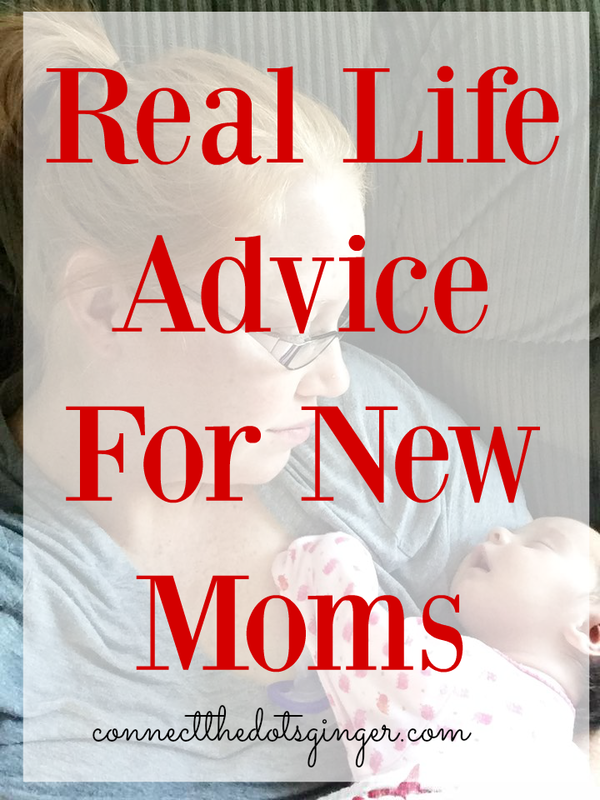 So that you have the energy to take care of your new baby for the rest of the day and night.